I don’t know about you but whenever I go to an event or a get-together and I see pot stickers, I lunge for them (if they are vegetarian or chicken, that is). When I think about the appetizers my friends most go for, pot stickers or any kind of Asian dumplings are usually the first to go. Making these Chicken Pot Stickers seem like a slam dunk to me. 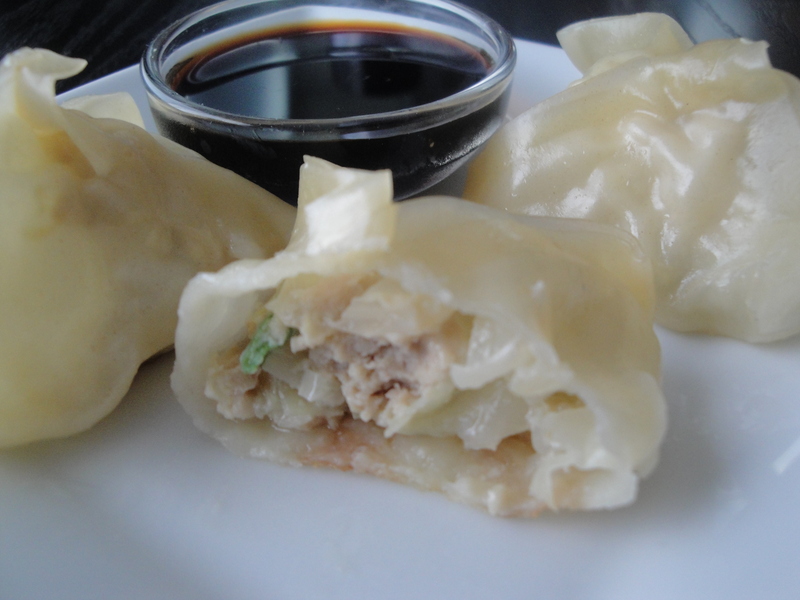 A simple mixture of ground chicken, cooked cabbage, garlic, ginger, scallions, and sesame oil are wrapped up in wonton wrappers, browned slightly, and steamed until cooked to perfection. I don’t think I’ve ever bought a head of cabbage before and as I cooked this cabbage, I realized that the vegetables in the vegetables and rice I get from the food cart outside work is made with cabbage (I thought it was bok choy this whole time!). I now realize I’m a huge cabbage fan and will incorporate it into all of my stir-fry recipes from now on. 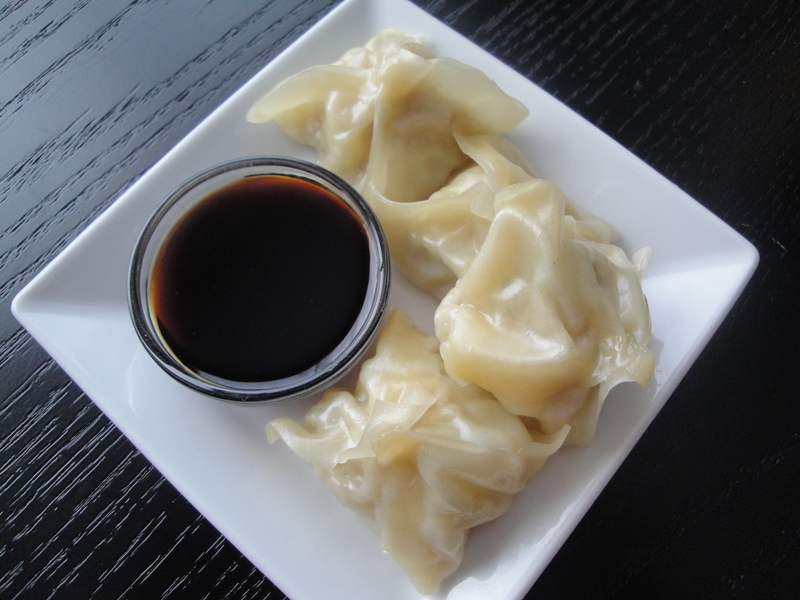 But, I digress…these pot stickers are fragrant and gingery and I honestly can’t rave about these enough. They are the perfect little bite to dunk into salty soy sauce or any other of your favorite Asian dipping sauce. I dare you to stop at one. Or two. Or three. Seriously. They are that good. 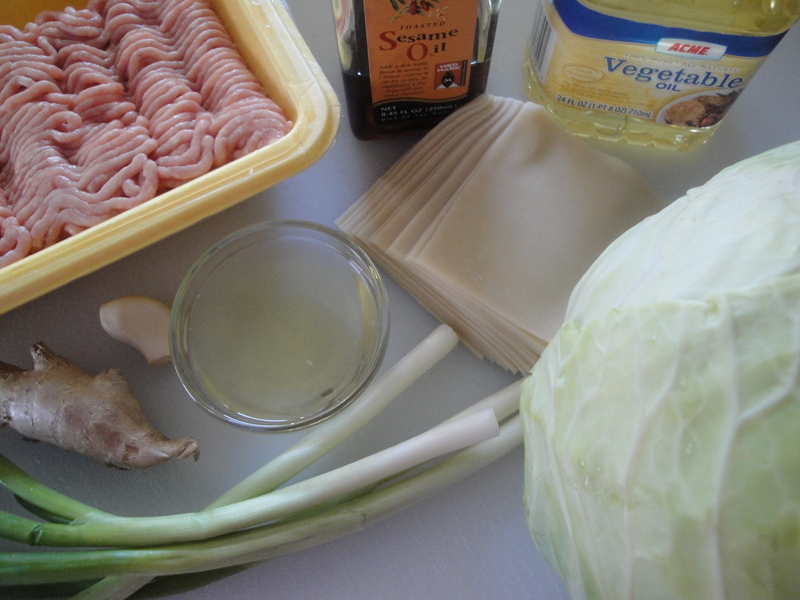 Shred or chop the cabbage and add it to a skillet with vegetable oil over medium-high heat. 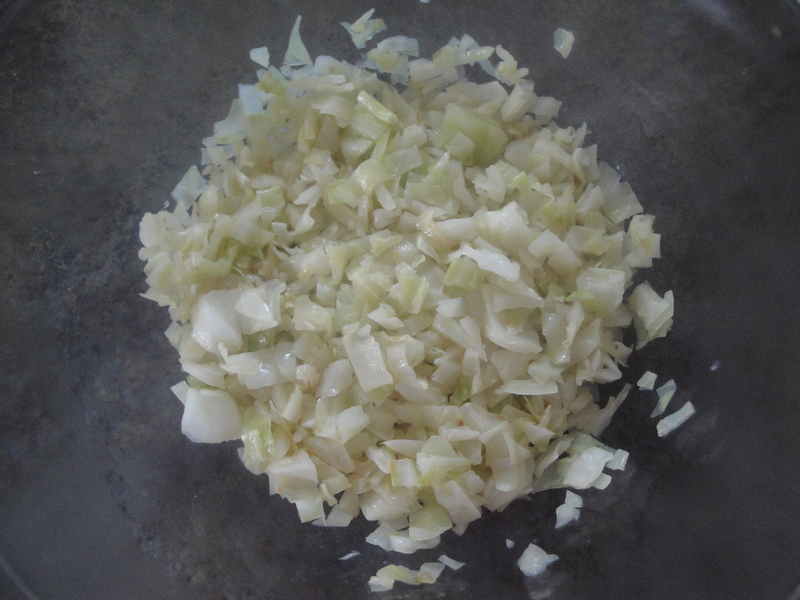 Cook the cabbage until slightly brown, adding the water a tablespoon at a time. 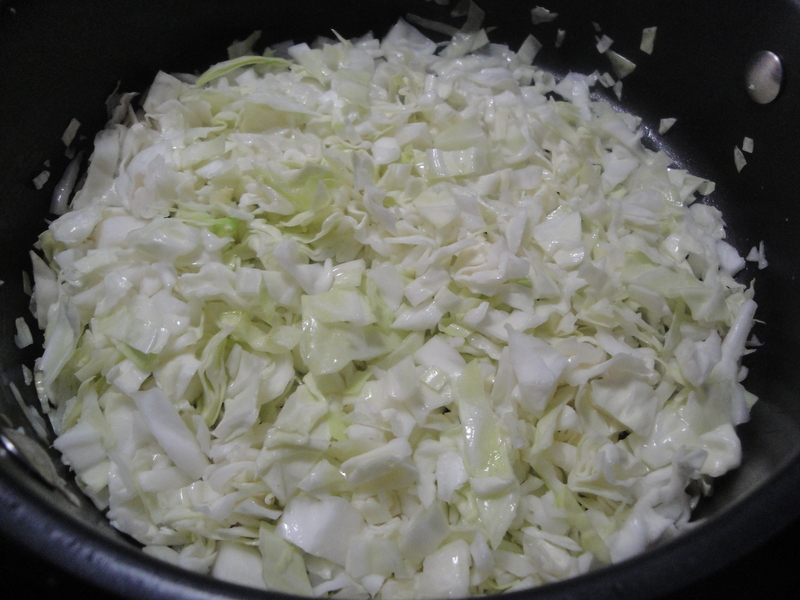 Move cabbage to a large bowl and allow to cool. 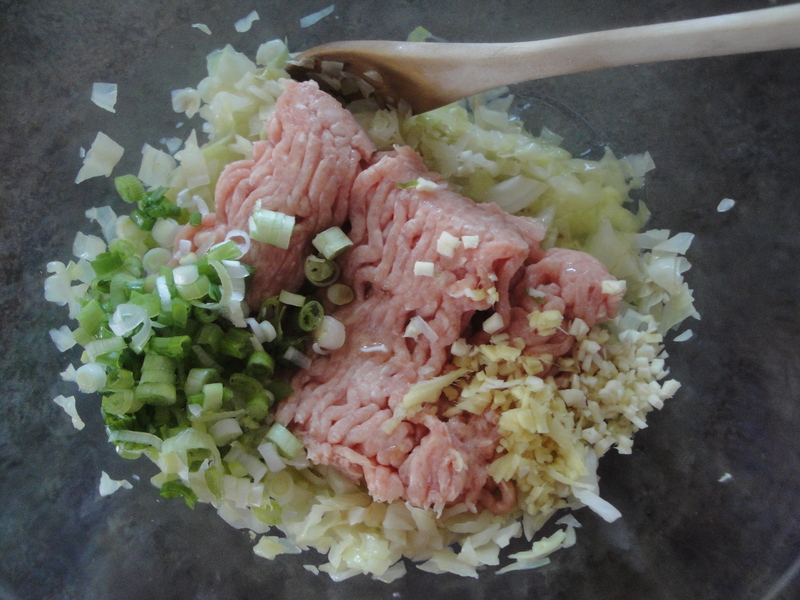 Add ground chicken, scallions, ginger, garlic, salt, sesame oil, and egg white to the cabbage and mix. Spoon a tablespoon of the chicken mixture into the middle of a wonton. 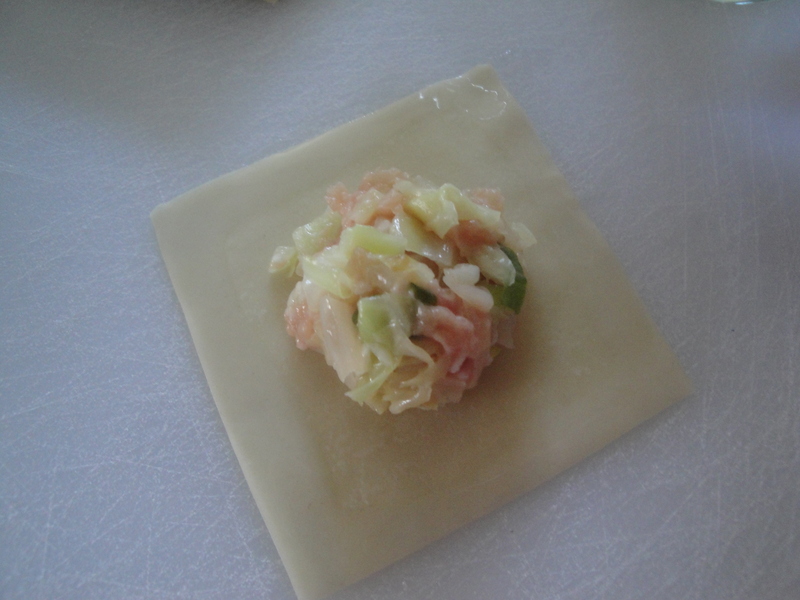 Using your fingers, moisten the edges of the wonton with water. 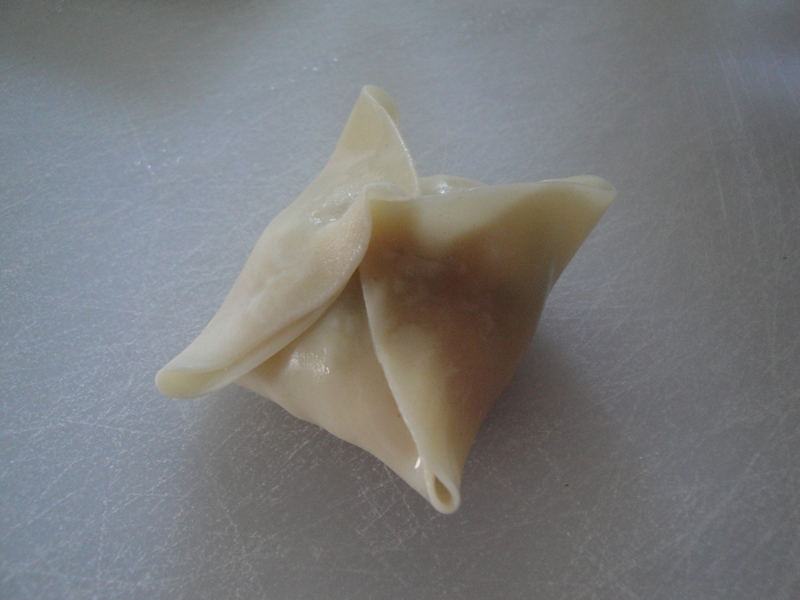 Bring 2 opposite corners of the wonton to the center and pinch to seal. Bring the other 2 corners to center and pinch all 4 edges together to seal. Place wontons on a baking sheet covered in cornstarch or parchment. 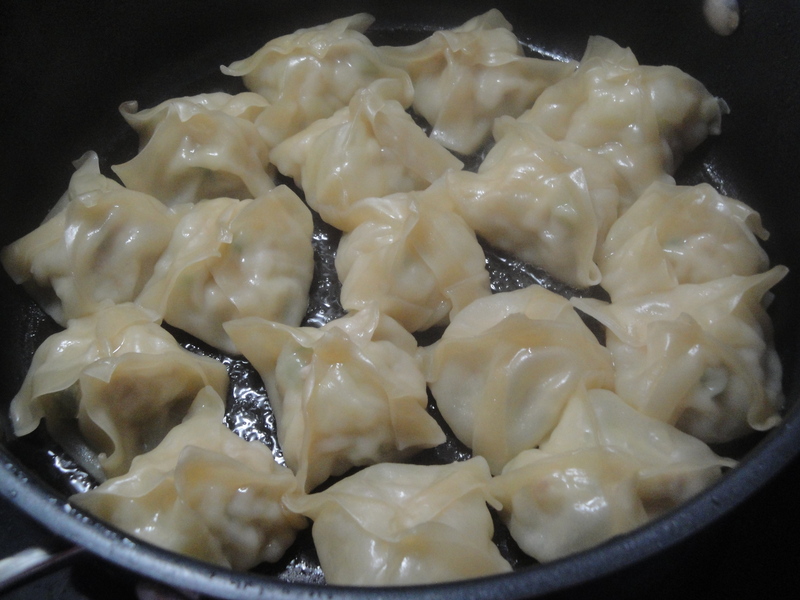 Cover wontons with a wet papertowl to prevent them from drying out as you prepare the remaining pot stickers. Place 1/2 of the wontons into a skillet coated with vegetable oil and cook until brown, about 3 minutes. 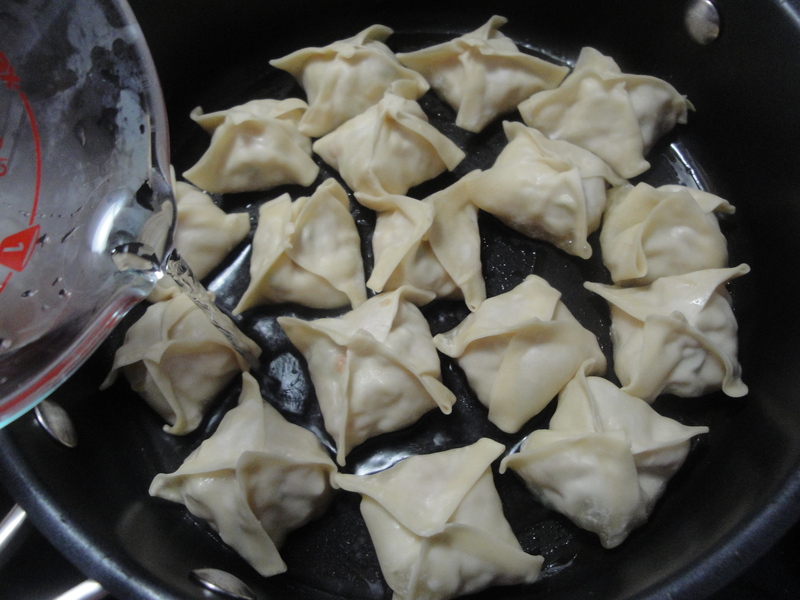 Pour 1/2 cup of water into the skillet and cover, allowing wontons to steam for 3 minutes. 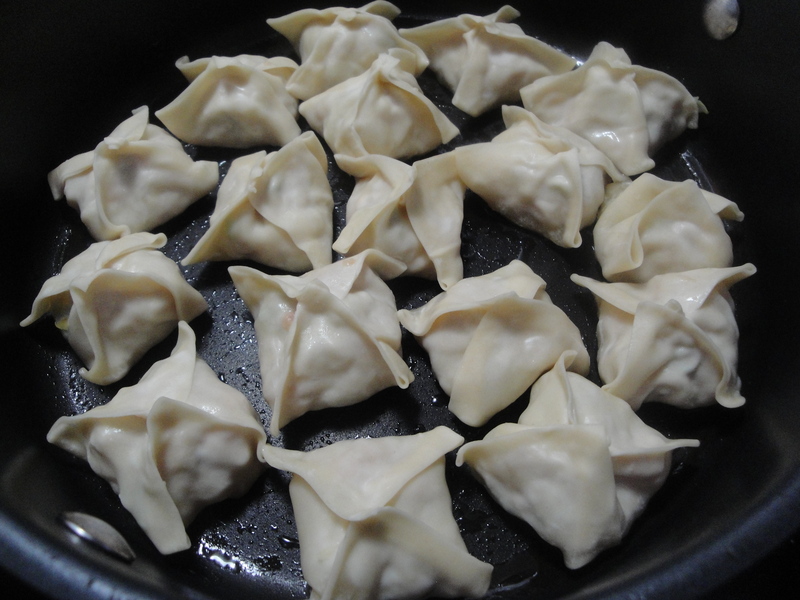 Move steamed wontons to a plate and repeat procedure with remaining wontons. Serve with your favorite Asian dipping sauce. Those look great! Mine always look like envelopes, yours look like awesome presents. 😉 I’ll be taking a tip from this technique going forward. Thanks for sharing! I’m seriously thinking about adding these to my Sunday football menu.